Paul Pogba next club odds: Is France star favourite to stay at Man Utd? Paul Pogba has endured a rollercoaster season with Manchester Utd and his future has more often than not been subject to conjecture. 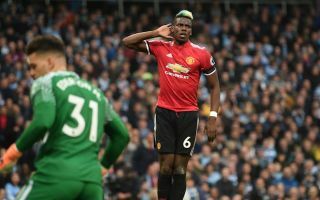 After Man Utd lost to Tottenham 2-0 at Wembley earlier on in the season, Pogba was taken off in the 63rd minute with many believing the Frenchman was substituted because he failed to follow to Mourinho’s instructions after a video emerged of the pair in a heated debate on the touchline. Pogba was left out of matches in the Champions League against Sevilla, but has since remained a key part of Mourinho’s plan and has helped the club to another FA Cup final. After the Red Devils lost to Brighton last week, Mourinho said there were players in his squad who are not up to United standards. However, Mourinho believes that Pogba will still be at the club next season. “I think he’s going to be here next season,” Mourinho said of Pogba. “I can give the guarantee that I don’t want him to leave, that the club doesn’t want to sell him, and I can give you the guarantee that we don’t have any approach from him or his agent or from any club,” Mourinho continued. Will Pogba stay or could he be on the move this season – we have looked at some of the odds below.